North Sydney is a suburb and major district on the Lower North Shore of Sydney, Australia. You'll find plenty of places to visit near North Sydney: Shelly Beach (in Manly) and Featherdale Wildlife Park (in Blacktown). Spend the 3rd (Wed) exploring nature at Sydney Harbour National Park. Next up on the itinerary: get to know the resident critters at Taronga Zoo, tour the pleasant surroundings at Balmoral Beach, Mosman, admire the natural beauty at Wendy Whiteley's Secret Garden, and observe the fascinating underwater world at Manly Sea Life Sanctuary. To find photos, other places to visit, ratings, and other tourist information, read North Sydney road trip website . Sydney to North Sydney is an approximately half hour bus ride. You can also ride a ferry; or drive. In July, daytime highs in North Sydney are 20°C, while nighttime lows are 9°C. Finish your sightseeing early on the 3rd (Wed) so you can travel to St Kilda. St Kilda is an inner suburb (neighbourhood) of the metropolitan area of Melbourne, Victoria, Australia, 6 km south-east of Melbourne's Central Business District. 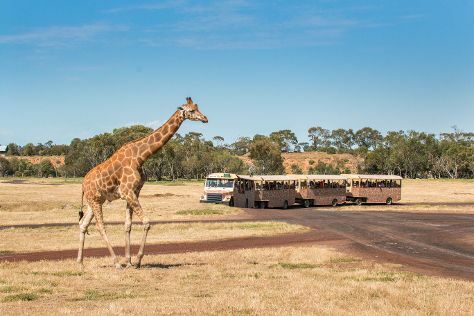 Start off your visit on the 4th (Thu): learn about wildlife with up-close encounters at Werribee Open Range Zoo, then take in nature's colorful creations at Victoria State Rose Garden, and then make a trip to Altona Homestead. Keep things going the next day: stroll through St. Kilda Beach, then take an in-depth tour of Jewish Holocaust Centre, then examine the collection at Scienceworks, and finally appreciate the history behind The Sun & The Moon Sculpture - Paul Juraszek. To see reviews, photos, traveler tips, and other tourist information, read St Kilda trip itinerary planner. You can fly from North Sydney to St Kilda in 3.5 hours. Alternatively, you can drive; or take a train. While traveling from North Sydney, expect slightly colder days and about the same nights in St Kilda, ranging from highs of 15°C to lows of 7°C. Finish your sightseeing early on the 5th (Fri) so you can travel to Perth. 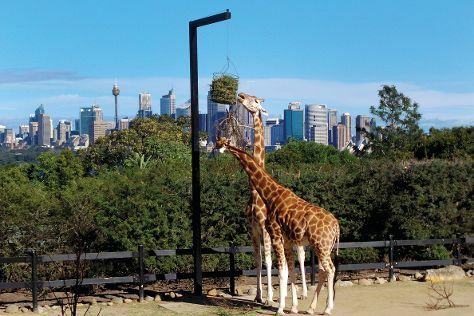 Change things up with these side-trips from Perth: Fremantle (Fremantle Prison & Fremantle Markets) and Caversham Wildlife Park (in Whiteman). Dedicate the 8th (Mon) to wine at some of the top wineries in the area. 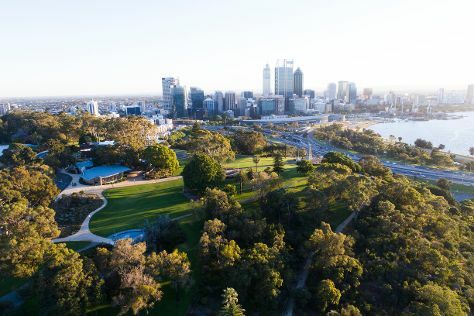 And it doesn't end there: admire the natural beauty at Kings Park & Botanic Garden, explore the world behind art at Art Gallery of Western Australia, take in the views from Elizabeth Quay, and contemplate the long history of The Perth Mint. Getting from St Kilda to Perth by flight takes about 6 hours. Other options: take a train; or drive. Due to the time zone difference, you'll gain 2 hours traveling from St Kilda to Perth. When traveling from St Kilda in July, plan for somewhat warmer days in Perth, with highs around 21°C, while nights are about the same with lows around 8°C. Finish your sightseeing early on the 9th (Tue) to allow enough time to travel to Adelaide. Go for a jaunt from Adelaide to Hahndorf to see The Cedars about 30 minutes away. Dedicate the 11th (Thu) to wine at some of the top wineries in the area. 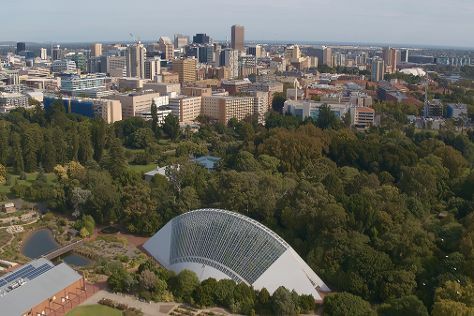 Next up on the itinerary: admire the natural beauty at Adelaide Botanic Garden, admire the masterpieces at Art Gallery of South Australia, get engrossed in the history at South Australian Museum, and steep yourself in history at Adelaide Oval. Plan my day in Adelaide using traveler tips and tourist information provided by Inspirock. You can fly from Perth to Adelaide in 5.5 hours. Alternatively, you can take a train; or drive. The time zone difference when traveling from Perth to Adelaide is 1 hour. Traveling from Perth in July, you will find days in Adelaide are slightly colder (17°C), and nights are about the same (8°C). Finish your sightseeing early on the 12th (Fri) to allow enough time to travel back home.